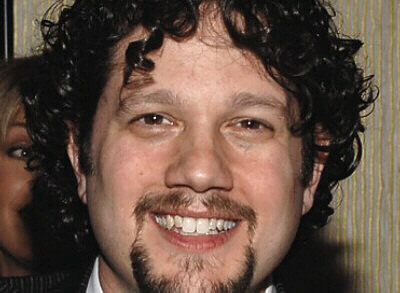 The BSOSpirit Society, organizer of the International Film Music Festival "City of Úbeda", has confirmed that the American composer Michael Giacchino will be part of its V edition, to be held between July 16 and 19. The involvement of the this year's Oscar Awards musical director makes the Úbeda Festival looks even more distinguished, thus increasing its interest for film music enthusiasts and the general audience. Michael Giacchino has become one of the most acknowledged film and TV composers in recent years. Born in New Jersey in 1967, it is through his partnership with Pixar Animation that he has been presented with prominent awards and nominations. In 2007 Ratatouille received an Academy Award nomination and ended up winning the Grammy Award, thus following the footsteps of his 2004 Grammy Award-winning score for The Incredibles. In the field of television, his renowned score for Lost has earned him both critical acclaim and honors like the 2006 ASCAP Award (The American Society of Composers, Authors and Publishers) and an Emmy-Award for Best Dramatic Underscore for a Television Series in 2005. Giacchino first caught the attention of the audience more than a decade ago for his extraordinary scores for videogames such as The Lost World: Jurassic Park (1997) and the Medal of Honor series, which was a World War II simulation game created by Steven Spielberg for Dreamorks Interactive. John Williams himself praised the score that the American composer wrote for the Jurassic saga. As of today, Michael Giacchino's latest film projects -Star Trek and Land of the Lost, both based on the popular television series - have created great anticipation. In addition, next June will see the release of Pixar's new film - Up - whose score has also been written by Úbeda's new guest. The organization of the V International Film Music Festival "City of Úbeda" is happy to have been able to have one of the most talented and internationally- celebrated composers of this generation sign up for the event, and it hopes this will contribute to making Úbeda, once again, the most significant film music gathering in Spain. Úbeda Film Music Festival Awarded! Em@il to webmaster , docmaster . Created 7.21.2001. Best viewed : 1024x768 or higher.